When you’re selling your house you want to make as much money as possible and in recent years there’s been a trend for vendors to market their own properties to avoid estate agent commission. It works for a few, admittedly, but for most people it’s a false economy as estate agents have all the necessary skills to secure a successful – and rapid – sale. There are five good reasons why using an estate agent to sell your home wins every time. Your asking price is crucial and getting it right is the best way to sell quickly. If your price is too high, your house will linger for months, if not years. If your price is too low, well, you won’t get what you should. An experienced estate agent knows the market, knows the region and can give you a realistic and objective price that will work for you. 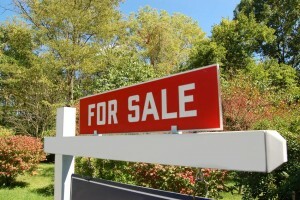 Selling a home is the biggest financial transaction most of us make and it’s fraught with pitfalls, angst and doubts. With an estate agent you can leave all the tricky (and sometimes embarrassing) negotiations to an objective professional who’s working for you. Your home needs as much publicity as possible and your estate agent does this for a living! He or she can create all the online and offline marketing materials and arrange viewings. You already have a job, why take on another? Just like most vendors, most buyers prefer to deal with a professional, as this takes a lot of the tension and emotion out of the buying process. If a buyer thinks they’ll have to deal direct with the vendor, they can become nervous. Most often they’ll ask their own agent to deal with you, so you need your own agent to speak up for you. Selling houses is what they do, right? Estate agents can walk you through the whole process, dealing with awkward buyers, or surveyors and keeping track of the exchange process. Why give yourself a headache?